Land rights, welfare and culture have locked aborigines out of the good life. Land has become a burden, welfare has become disabling, bad behaviour is mistaken for culture. There is a way out. Aborigines must abide by the same rules as every other Australian -- seek out opportunities, study hard, and free themselves from a culture of bad behaviour. This is in contrast to the white man's dream of Aboriginal self-determination. This grand experiment has failed. Aborigines, especially those in remote Australia, need an exit strategy from the dream. The exit strategy outlined in this book destroys the rallying cry for culture. Instead, it shows that the way to self-determination is through individual dignity. 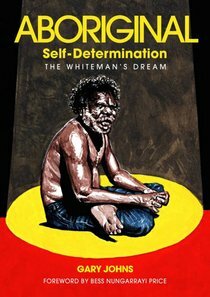 About "Aboriginal Self-Determination: The Whiteman's Dream"